Slowest 3v in the Chi! 12:48 PM - chris1001 mentioned Formula_LS1 in post GLD this Thursday (9/8) - Hellcat vs GT500 showdown! Might be in. chris1001 you down? Lead Pipe ? Shibby50 ? 12:24 PM - lastls1 quoted chris1001 in post Welcome to the Race of the Season! 09:59 AM - chris1001 quoted lastls1 in post Welcome to the Race of the Season! 09:57 AM - lastls1 quoted chris1001 in post Welcome to the Race of the Season! 09:56 AM - chris1001 quoted lastls1 in post Welcome to the Race of the Season! 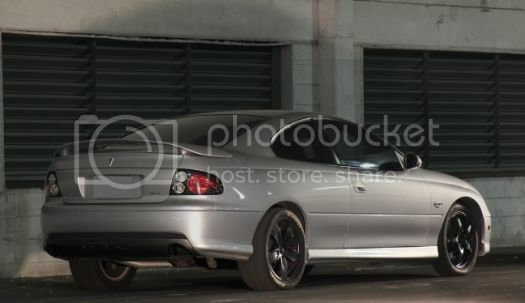 11:02 PM - bmxer89 quoted chris1001 in post 2005 Gto Performance parts part out! 05:02 PM - School Boy quoted chris1001 in post POV Street Racing - GT500 vs LS3 vette. 05:01 PM - chris1001 quoted School Boy in post POV Street Racing - GT500 vs LS3 vette. 09:14 AM - School Boy quoted chris1001 in post POV Street Racing - GT500 vs LS3 vette. 07:33 AM - Teege24 quoted chris1001 in post POV Street Racing - GT500 vs LS3 vette. 06:49 AM - chris1001 quoted School Boy in post POV Street Racing - GT500 vs LS3 vette. 10:22 PM - School Boy quoted chris1001 in post POV Street Racing - GT500 vs LS3 vette. 01:07 PM - Teege24 quoted chris1001 in post Calling out "the Banker"